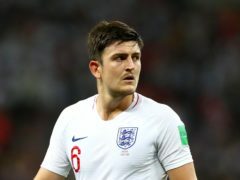 England footballer Harry Maguire and his partner have welcomed a baby together. The home of former Celtic manager Brendan Rodgers has been broken into a week after he left the Glasgow club. Leicester boss Claude Puel believes the club are still adapting from their title win ahead of their reunion with Claudio Ranieri. A Leicester City fan enjoyed a couple of holidays in the Dundee area so much that he decided to up sticks from Leicestershire and moved permanently to the City of Discovery. Arsenal striker Alexis Sanchez is willing to take a pay cut in order to move to Manchester City, according to the Independent. Eight Leicester City fans were arrested for "causing a mess" ahead of their Champions League tie against Atletico Madrid, say Spanish police.